Don’t try to hide your humanity from Me. I not only see your pain and grief, I’ve experienced it. I understand and want to shoulder your burdens. Give them to me. In my hands, they are light. You’re not meant to carry them. Did you know Jesus has the face of an ox? According to the book of Isaiah, that’s one of the many faces, or facets, of Jesus. The tripped out seraphim who eternally circle the throne of Jesus, have four faces – prophetic of the faces of their King – and one of them is an ox. So what does it mean to know Jesus as the face of an ox? It means you’ve seen Him be your burden-bearer. He is your servant. Now, that can be a tough pill to swallow – the almighty God of the universe being your servant, but He likes that. He’s a leader and a true leader never asks his people to do what he refuses to do. They lead by example, like when Jesus washed the disciples’ feet. As the face of an ox, Jesus is docile and domesticated, practical and faithful. He is the most kind, steady, compassionate man the world has ever known. You can trust and count on Him to get you through hard times. Jesus is also hardworking, intentional and He gets stuff done. He’s a doer and enjoys accomplishing tasks. Heck, He even cooked fish with His disciples! Jesus was a real guy and guys love to work and check off the to-do list. Jeremiah was a picture of this face of Jesus long before the Savior ever walked the earth. The name Jeremiah means “God is my encouragement” and it’s prophetic of the face of the ox. Because Mark lived day in and day out with God in the flesh – he knew this side of Jesus and it amazed him. That’s why the book of Mark is all about Jesus as a burden-bearer. He saw Jesus shoulder the cross for us. 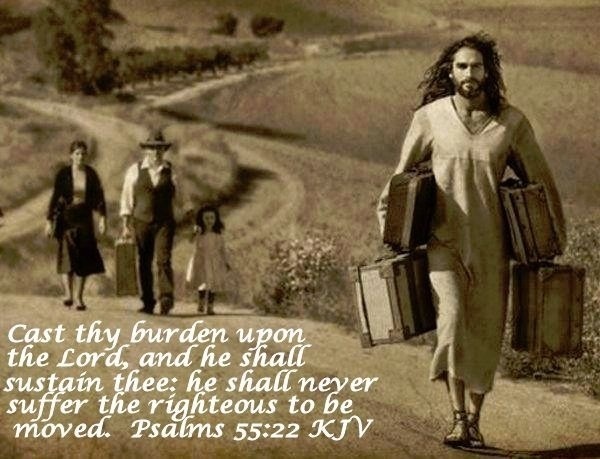 Do you know Jesus as your burden-bearer? That He’s always working on your behalf, faithful and kind, serving and leading you out of the wilderness and into better things? If you don’t, get to know Jesus the ox. You’ll be so encouraged!